Are you ready to jump into a fitness routine? Here are 5 tips that you need to have a great workout! THIS POST IS SPONSORED BY BODYARMOR. ALL OPINIONS ARE MY OWN. PLEASE SEE THE POLICY PAGE FOR FULL DISCLOSURE. For the past month and a half I have really been focused on and dedicated to my fitness and it is definitely paying off. Working out is a great adjunct to your nutrition and your low carb lifestyle. 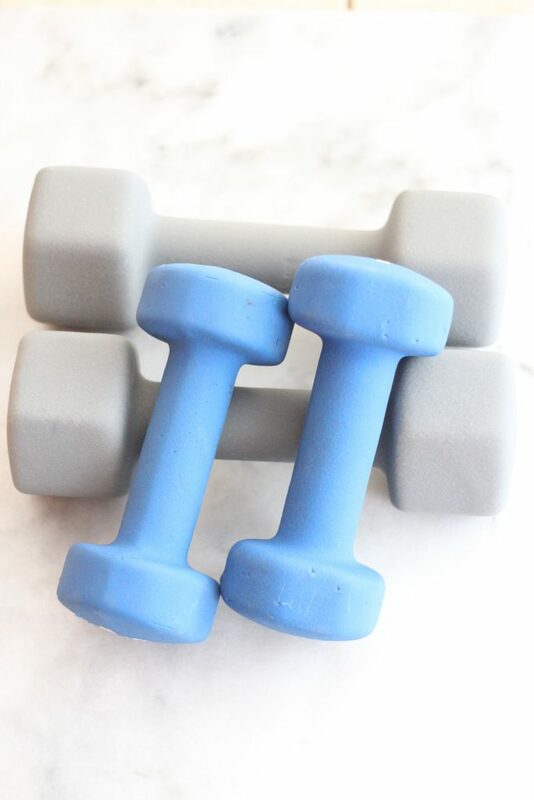 If you are new to working out or starting over, I have some tips that will help you with getting started on your fitness journey and sticking with it. A Plan – Do you know what kind of workouts you want to do? Are you a runner, a weight lifter, a yogi or what? The last thing you want is to show up at the gym without a plan. If you only have 30 minutes to squeeze in a workout, do you know how to get the most out of those 30 minutes? 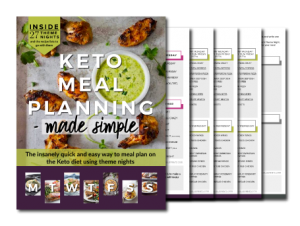 There are many resources online, trainers, classes and books that can help you develop a plan that works for you. A Goal – Like with many things, it’s good to have an end-goal in mind when developing your fitness plan. Are you looking to build strength or tone your arms and legs? Do you want to run a half-marathon by the end of the year? Do you want to look smashing for a special occasion? Or do you want to boost your metabolism and shed that last 5 or 10 pounds? My goal is to have six-pack abs by January. It may seem like a silly thing to focus on, but when you take into consideration all the work I have to put into it and really focus on my nutrition, it doesn’t seem so small. The Right Attire – The right attire is key to a great workout. You need exercise clothes and shoes that fit right and are functional and appropriate for the activity you are doing. I have ruined a good run by my socks slipping down and developing a blister on my heel. Same with sports bras that aren’t appropriate for doing jumping jacks. And lets not even talk about t-shirts and shorts that chafe. Your workout clothes don’t need to be expensive, but they do need to fit. You will perform better and feel better in the right attire. 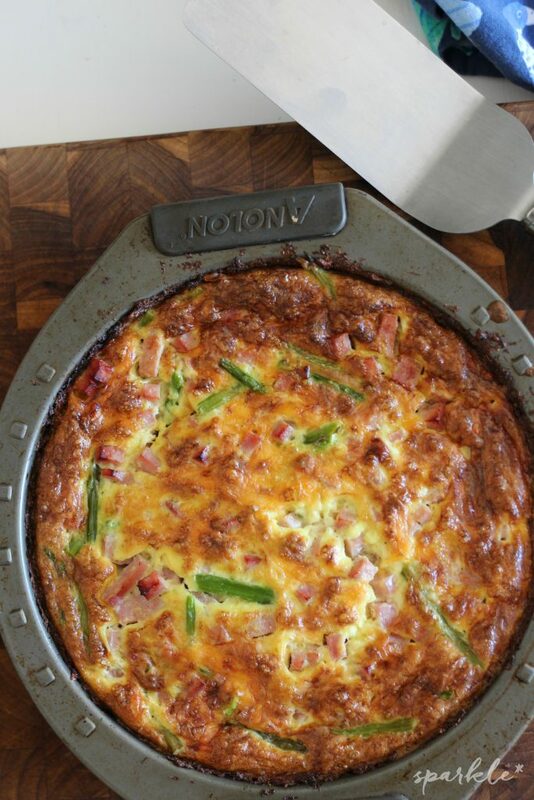 Fuel – How you are feeding your body is so important and somewhat complicated. You have to do what works for you. When I started with Intermittent Fasting, and only eating between the hours of 11 am and 7 pm, I had a hard time with my workouts. My body didn’t feel like it had the fuel it needed to perform. The funny thing is, is that it adapted. It took about a week, and I wasn’t sluggish and exhausted during my runs or workout routine. Don’t be surprised if you have to tweak your macros as your fitness level increases, even (gasp!) adding a few more carbs in. I had to do that, which I did in the form of more vegetables and adding a protein shake in after my workout, and I’m still losing weight! Hydration – I am of the mindset that hydration for a workout starts the day before. Many people will say to start upping the water intake a few hours before working out, but that doesn’t work too well for me. I don’t want to go running with a belly full of sloshing water, nor do I want to have to stop to use a bathroom during my run. I try to be always hydrated. If I know I am going to have a hot, sweaty workout tomorrow, I am drinking a ton of water now. That way my body has time to absorb the fluid and adapt. Also, I’m drinking fluids during and after my workouts. That is the best time to replenish electrolytes and getting rehydrated for tomorrow’s workout too. Are you ready to start adding exercise to your nutrition plan? Then you need to click HERE! 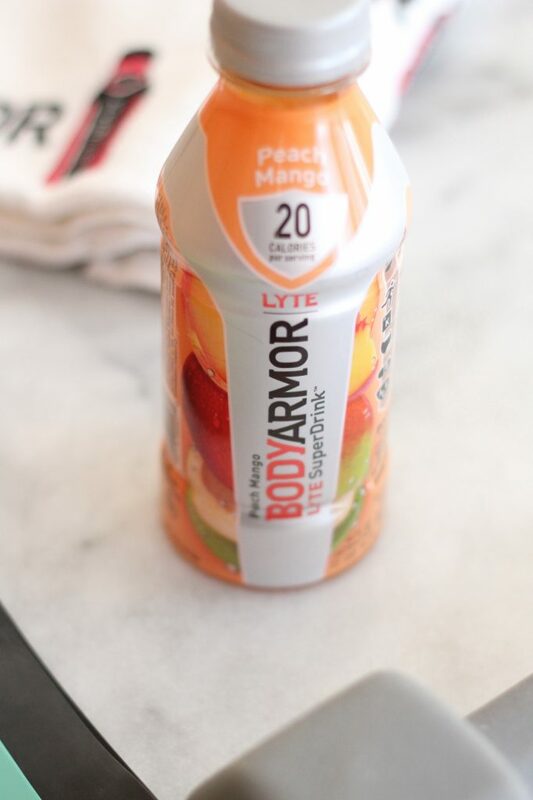 BODYARMOR LYTE Sports Drink is what I drink after a sweaty workout or a run outside in the heat. I crave this Peach Mango flavor! I love sticking it in the freezer while I’m working out so it is nice and super cold when I’m ready to drink it. 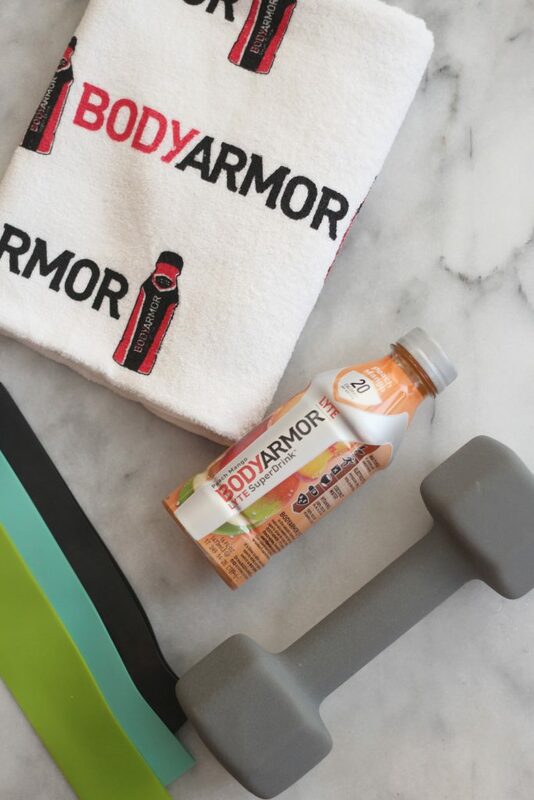 BODYARMOR LYTE has only 20 calories and 3 grams of sugar per serving. It is naturally flavored and sweetened, includes potassium-packed electrolytes, coconut water and vitamins, and has no colors from artificial sources. Plus, it comes in four flavors, Peach Mango, Cherry Berry, Orange Citrus, and Blueberry Pomegranate. 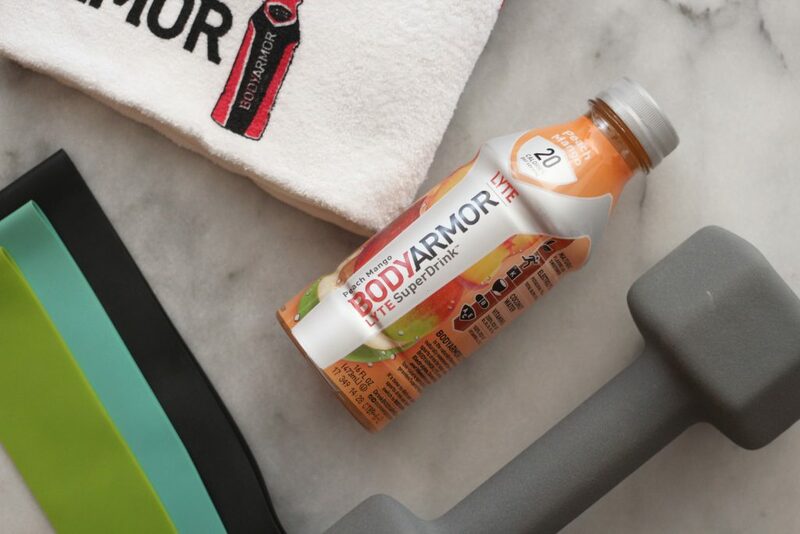 There is also BODYARMOR sports drink which is packed with potassium-packed electrolytes, vitamins and coconut water and comes in 12 delicious flavors! You can grab them at your local Walgreens! Starting in 2018, BODYARMOR Sports Drink is now available at all Walgreens locations nationwide. Click HERE to receive $1.00 off on TWO (2) Bottles of BODYARMOR Sports Drink or BODYARMOR LYTE Sports Drink (16oz Only). So tell me how you are going to add some fitness into your life? Do you have anything to add to these five things you need for a great workout? Do you have any tips that work? I need to get back on a regular exercise routine! Thanks for sharing with SYC.